I love books about books. There is something magical about them that cannot be ignored, say what you will. Books talking about books is almost surreal – not even meta, it is just something that makes you want to pick up the books that are being spoken about and reread them or read them if you haven’t already. This is what happened to me when I finished reading “The Novel of the Century” by David Bellos. This book is about Les Misérables and how it came to be. I remember watching Les Misérables – the movie when it released (the one starring Anne Hathaway) and crying. I couldn’t get enough of it and surprisingly I hadn’t read the book. I had to change that. I did read the book soon after and was mesmerised by it. I mean the characters – Inspector Jarvet, Jean Valjean, Fantine, Cosette and even the minor ones that play such an important role in this book of power, politics and love. I can see how it came to one of the greatest novels of the 19th century or the greatest, I think. David Bellos takes a leap and writes about this book. How did it come to me? Why was it written? What was Victor Hugo thinking when he wrote this? How did he come about such characters? What Bellos also does is explain why this novel fascinates us (most of us at least) and how it places itself so beautifully in the modern context. To me, that was the most favourite parts in the book. Bellos’ research is spot on. I was reading a lot about the book and the times in which it was set while reading The Novel of the Century and that to me is the best thing an author can do to you while he is writing about another book. The writing then is truly powerful. This is also not a biography of Victor Hugo but of course it has to trace his life briefly and how he came to write Les Mis. The angle of prostitution in those times, religion playing such a major role and also just how women survived is fascinating when Bellos brings it to the fore. “The Novel of the Century” isn’t for everyone, that’s for sure. It is for people who love Les Misérables or perhaps want to really read it sometime in the future. Having said that, I couldn’t get enough of Bellos’s writing – crisp, to the point and very meticulous with his research. At times, I almost felt like I was watching the movie or reading the book again. The characters I went back to welcomed me back and I for one felt so nice meeting them after all these years. A book for book lovers and of course of the classic as well. This entry was posted in 2017 Reads, August 2017 Reads, Books, Books about Books, Books about Books Reading Project, Books about Books Reading Project 2017, Classics, Farrar, Farrar Straus and Giroux, Literary Criticism, Literary Memoirs, Literary Theory, macmillan, Non Fiction, Non-Fiction, victor hugo and tagged 19th Century Classics, 2017 Reads, August 2017 Reads, David Bellos, Farrar, Farrar Straus and Giroux, FSG Books, Les Misérables, Literary Criticism, Literary Theory, Non-fiction, nonfiction, novel, The Novel of the Century on August 3, 2017 by thehungryreader. Writing is not easy. Writing is not difficult either. It is perhaps the single most surreal experience. I write as well but not as often as I would like to. I keep stalling it. I do not put pen to paper when I should. I think most of the time I am just scared of how it will turn out. I am not confident of my skills and I should not doubt myself anyway but I do. Maybe that is why there are writers out there and then there are some of us who could learn a lesson or two from their lives. 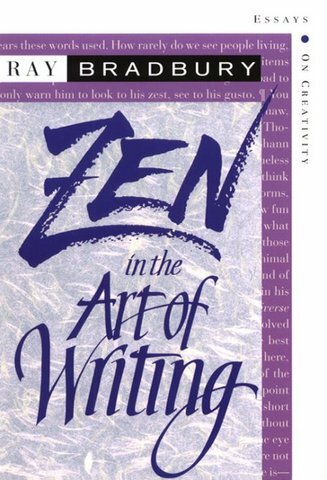 “Zen in the Art of Writing” by Ray Bradbury was one book that I was waiting to read since a very long time. I wanted to but it ended up being just too expensive to pick up, till I finally did at the Flipkart Big Book Sale – BookMarkit at about eighty-four rupees. What is this book? Why did I want to read it? Well, for one this book is about writing by the master himself, Ray Bradbury. It is a collection of eleven essays and all centered on the craft and art of writing. Bradbury is one of my favourite writers. I think I have read almost everything that he has written, so there was no way that I was not going to read this one. Reading this book made me see my writer in a different light. It made me appreciate his craft a lot more than I would have done, had I not read this book. What does Mr. Bradbury do in this book? He takes on the process of writing. He urges people to go out there and write. He speaks of his experiences with writing and how that helped him become what he is – a celebrated writer. Ray Bradbury talks of how he listed nouns one after the other and they became ideas for his short stories and the very titles of his stories. The core of the book is also about how he came upon ideas for his stories and books and how to become a writer you cannot let go of your imagination and spirit. There is a lot to take away from this book on writing than there is perhaps in any other book. Ray analyzes writing not as work but love and how that can enrich the creative process. There are lessons on success and failure and how it will not be easy for a writer all the time (although it does seem quite simple in today’s time and age given every second person is a writer). He takes apart the concept of muse, of how the writer should let ideas be and let ideas chase him, of how important it is to write and not have guidelines such as “I will write thousand words a day” and many more that an emerging writer can contemplate and work on. All said and done, I highly recommend this book not just to writers but for everyone who might want to know how to live life. This entry was posted in Books, Non-Fiction, Ray Bradbury, Review, Writing and tagged creative writing, Creativity, Joshua, Literary Theory, ray bradbury, writing, writing skills, Zen in the Art of Writing on April 5, 2015 by thehungryreader. We all have our literary heroes. Sometimes in the form of characters, which we have loved reading about and idolizing while reading or sometimes in the form of writers themselves, who bring stories and characters to life. For me, there are so many writers who have changed my life and the way I see things and the world around me and then there are those who stay on irrespective of time. Pico Iyer’s new book, “The Man within my Head” is homage to Graham Greene, and at the same time, it is a travelogue, a memoir and a literary biography of sorts. It is everything rolled into one, taking pieces from Graham’s books and his life and that is what makes the book an interesting read. The book opens during a visit to La Paz, Bolivia and the imagery that Iyer leaves you with is fascinating. A lot but of course has to do with the fact that he can describe a regular scene with great intensity, and make it appear magical to the reader. I picture Iyer on his journeys, sinking in what he sees, settling in his hotel room and writing for his readers, writing about Graham Greene – his writing style, his books and his life. He does all of this and at the same time, gives us a sense of his (Iyer’s) life, juxtaposing the two, which makes for great reading. Graham Greene was always an outsider and that sentiment was forever depicted through his characters – from the whiskey priest in The Power and the Glory to the adulterous wife in The End of the Affair to The Quiet American, Iyer takes the reader through a Greene journey, and pushes readers to visit Graham Greene. Now to Iyer’s writing style – at times it is broken, fragmented, but then I love that kind of writing. I like writing that makes you think, that has layers and that is not given on a platter to ease the reading. 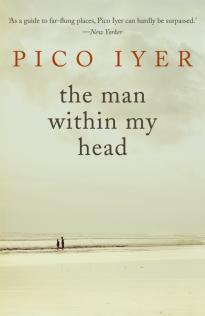 The man inside Iyer’s head is Greene for most of his life, and later does he realize that there is another man who he has never known and lives within him – his father. Through this book, Iyer then learns how fathers and sons function – the relationship they share, what are they made of and what it takes to bind them. Iyer’s writing is crisp and almost there – it made me stop and wonder about life at various points and if a book manages to do that, then for sure it has done something to you. We all have a man within us – someone different, someone similar, and someone who sometimes we want to be. As Iyer, eloquently puts it, “A man within your head whispers his secrets and fears to you, and it can go right to your core”. A must-read. This entry was posted in biography, Books, Hamish Hamilton, Non-Fiction, penguin india and tagged Biiography, graham greene, hamish hamilton, Literary Theory, penguin india, Pico Iyer, The Man Within My Head, travel on April 16, 2012 by thehungryreader.